Titre original : Big Cleaning at the Café / For Whom Does the Bell Toll? Polar Bear ropes in everyone to do some spring cleaning around the cafe before Panda-Mama brings a salmon for everyone to have hotpot. 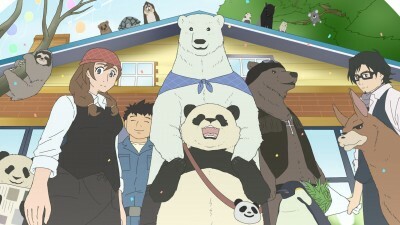 Later, Polar Bear, Panda, Penguin, Sasako and Llama spend New Year's Eve together, where they reminisce about the past year. They are soon joined by the other animals to see the New Year in.